Do you have a website that needs updating regarding your navigation menus? 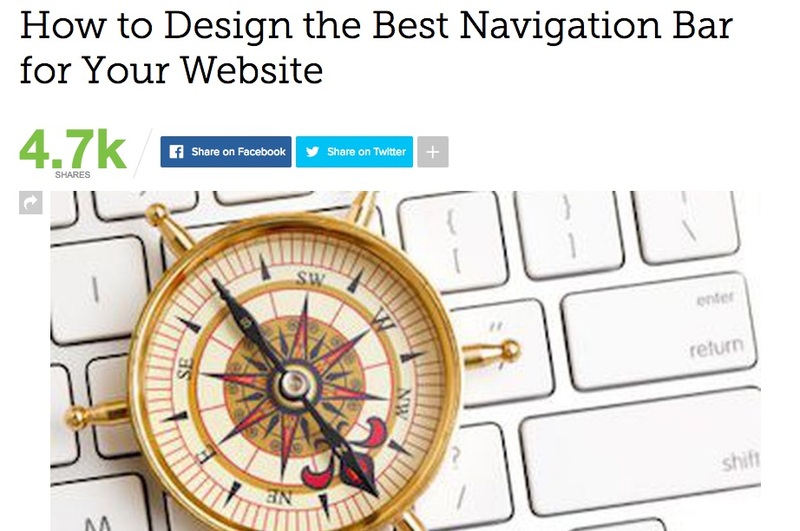 Are you creating a new website for your business and wondering how your navigation should look? In this post, we offer seven resources that will help you think about how it should look to give you the inspiration to get started creating the perfect navigation menu. 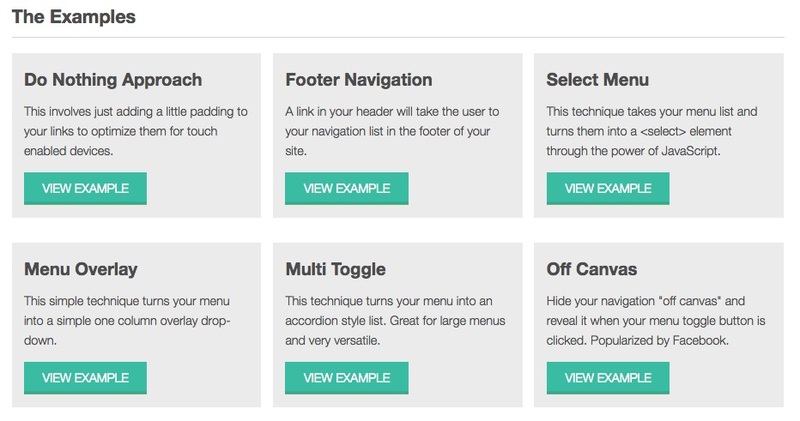 Code Conquest has a good resource for creating website navigation menus using raw code. It illustrates how to write the raw code to include precise navigation menus that do everything you want them to in an easy-to-follow format. CSS (known as “cascading style sheets”), has become a viable recent alternative to HTML code that used some HTML coding within the CSS. You may need a basic knowledge of CSS to alter the code after following this step-by-step guide, but it is a good guide to have if you choose to do it this way. 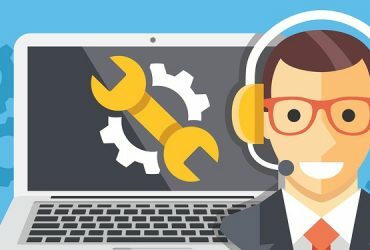 Hongkiat.com has long been a good source for finding technical information on how to create various assets of your websites and other technical platforms. They also publish articles on a wide variety of how-to topics including how to write compelling web content. 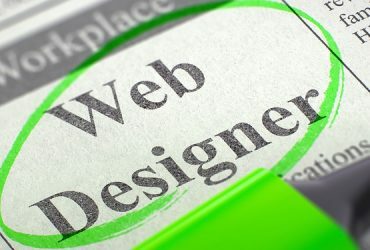 In this post, you’ll find a great planning tool in how to physically plan your website navigation and layout by using shapes indicating the hierarchy of order of your pages. In one diagram, they recommend having your main site as your landing page, then having three other major pages within the hierarchy where you offer various services or products. These would be a broad category. Then people would find multiple pages underneath these by clicking on subpages. Some of the images on this site failed to load correctly, but you can still learn a lot about how to construct your navigation menu from the navigation drawings. 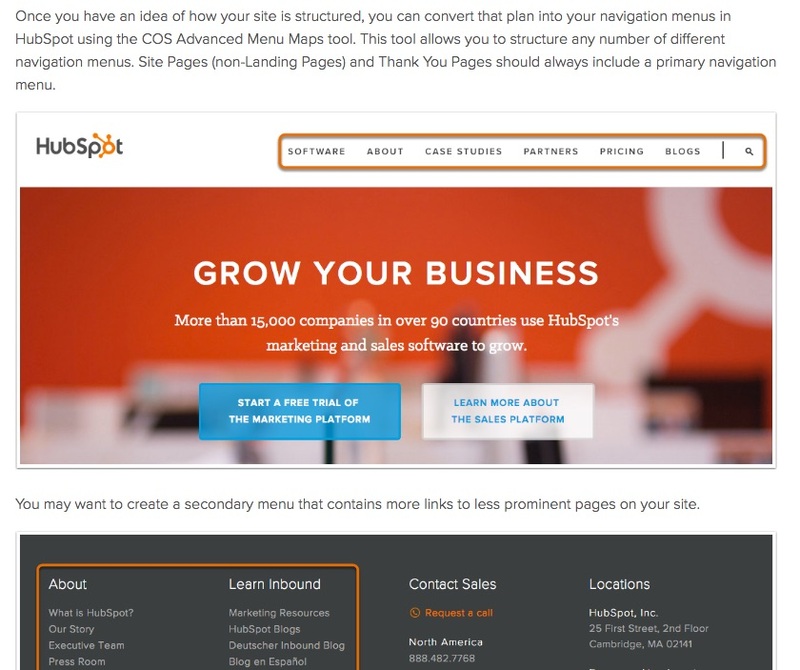 Hubspot is well known for its helpful articles and features on content strategies, marketing ideas, and information strategies. This is a highly informative resource that helps you see what a site should look like from a “birdseye view” and draws out the landscape of a successful site. It also asks some important questions at the onset about what the purpose of your website is, how you want it to appear in the searches, and which web pages belong in your top hierarchy of pages. These are all important questions to ask as you plan your navigation because you will want to keep the most important pages near the top. Also, you will want to keep in mind that every page is indexed in Google eventually, not just your primary landing page. I think this is an often forgotten fact that we should remind ourselves of from time to time. If you want all of your pages to index correctly, you should make them all important. One of the ways you do this is in the way you build your navigation menu and connect the pages together. 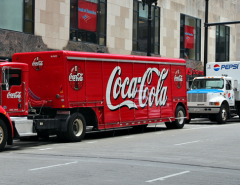 This article also shows you in detail examples of how your menu could look and where it could be placed to gain the most attention. Drop down menus, and other options are also discussed. We found this CSS Menu Maker resource for anyone who is still hung up on cascading style sheets (CSS). We do like cascading style sheets, though this is not a common preference of business owners since you have to know the code to do it. 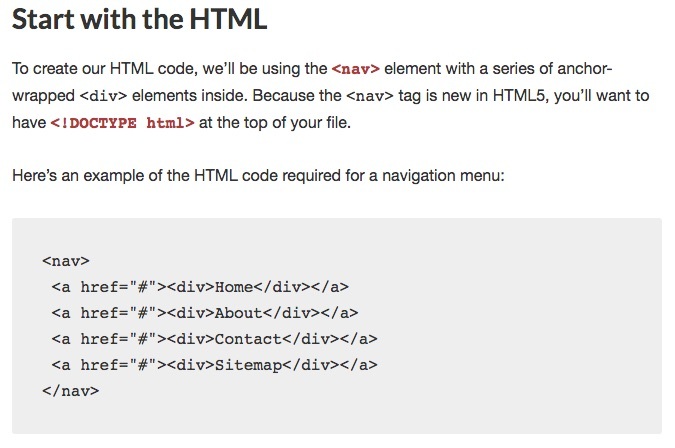 In this resource, they show you various CSS template results that you can create for your navigation by using cascading style sheets. Then you can pick and choose the ones you like and download and customize them for your website. We especially liked the wooden navigation bar example, and this is something you might want to incorporate into your website. You can pick and choose from a number of colors, and you could further customize these templates if you know how to code in CSS style. Mashable is known for its attention to technical detail when it comes to social media, marketing strategies, and technical assistance. In this helpful resource, they discuss some very basic tips and tricks in how to keep your website and navigation simple but accessible and how to incorporate the best aspects of your brand within the navigation. You want to direct people to where you want them to go by use of an attractive and user-friendly navigation bar. They show you how to accomplish this in this post. Having a responsive site is just as important these days as having an attractive site with media and other assets. 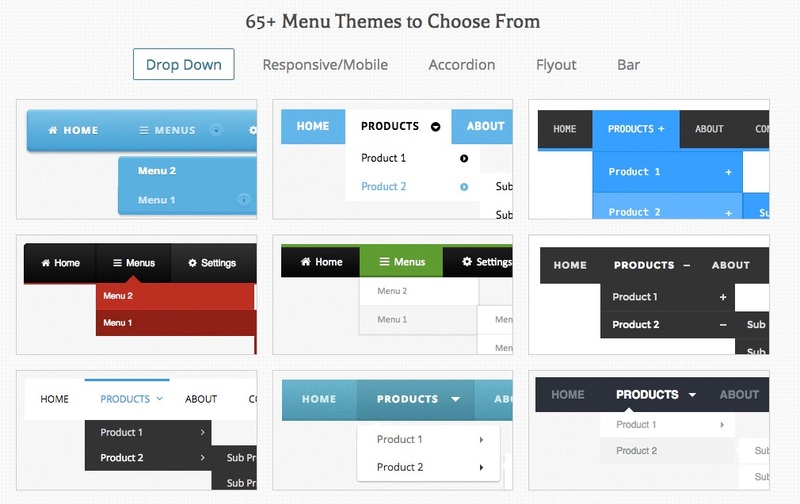 Responsive Navigation focuses on the importance of having a responsive site. In this interesting guide on creating effective navigation menus, they offer a variety of styles and formats that you can follow to make your site responsive and easily accessible to your customers. You can click on the various examples to see what it does and copy and paste the code if you have a desire to try your hand at coding. The rest of the article offers some other tips and tricks that you may want to try to increase the likelihood of clicks and responses. 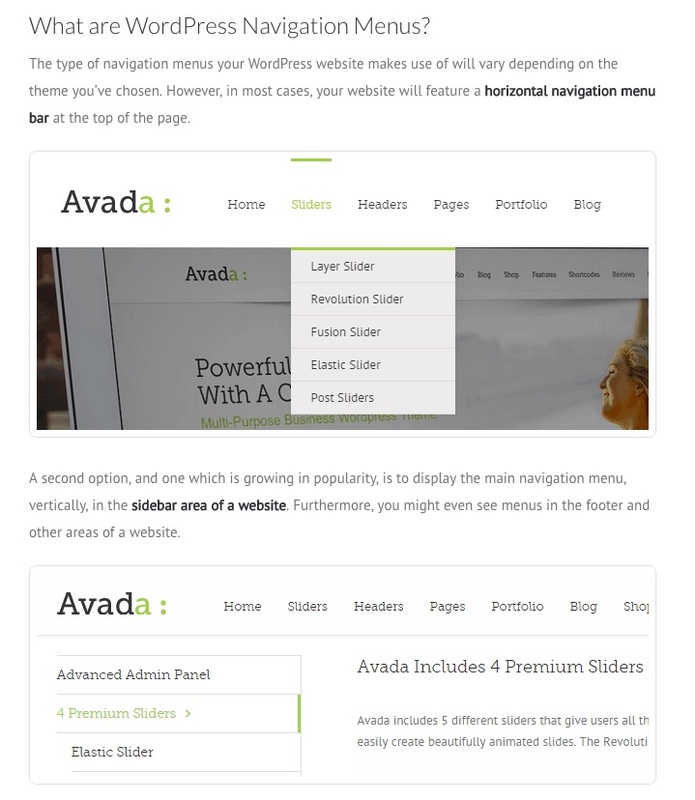 If you are a WordPress user, you may prefer this blog by Theme-fusion.com which features tips on how you can create effective website navigation menus within WordPress. 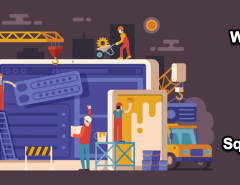 WordPress is a popular platform on which to place your site, and this guide will show you how to incorporate your favorite navigation template within your WordPress site. 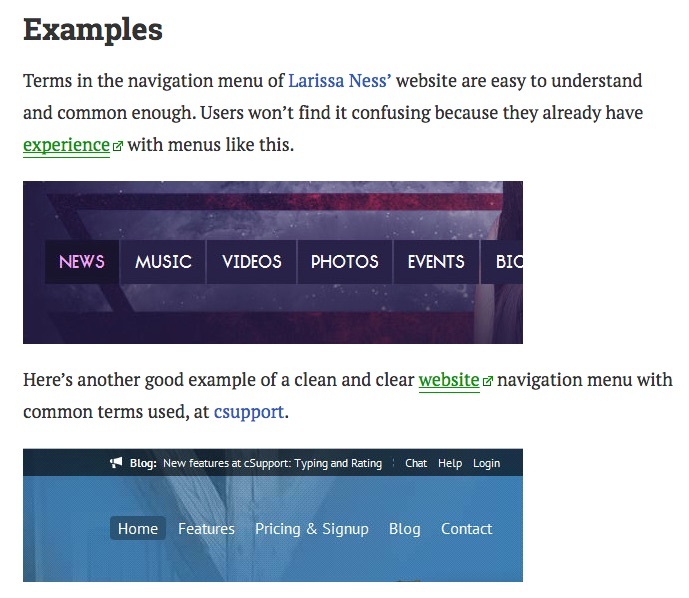 Well, there you have some examples and helpful tips and tricks about how to create your navigations and menus for your website. If this seems like too much information or you feel overwhelmed, we can offer a better solution. 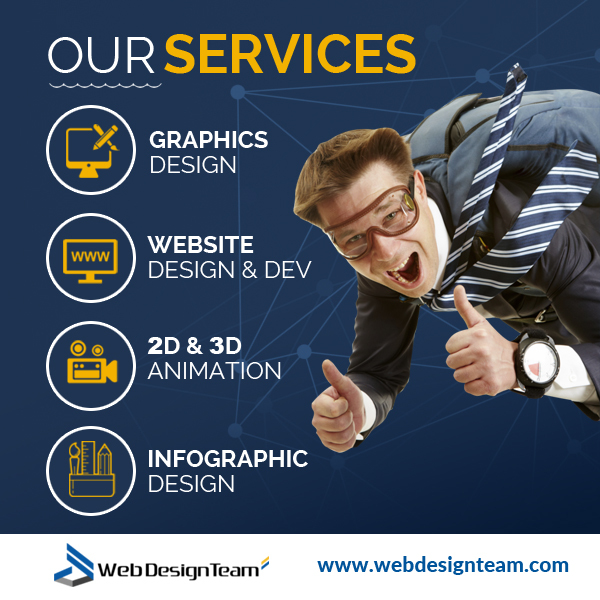 WebDesignTeam is a professional web design team who has a staff of talented, creative and technical gurus who can create your navigations and websites for you. Yes, we can even incorporate your website within the WordPress theme. And those complicated codes for the CSS? We can handle that too. 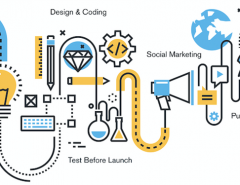 We are experienced in coding as well as creative and artistic design, so we can take the hassle and the learning curve out of creating a custom-designed website with attractive and practical navigation menus that will work for you. Check out our website and view our portfolio, then feel free to contact us anytime for a free estimate about what we can do for you. 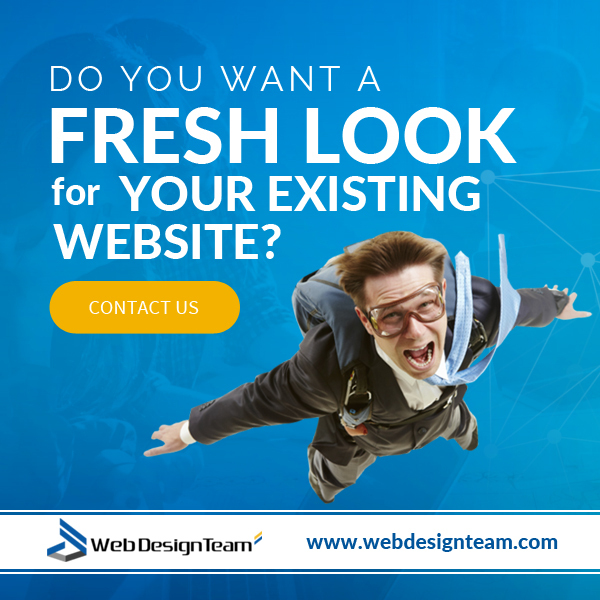 Contact us to learn more and let us get started on your website today.